Abu-Jamal combines personal experience with extensive research to provide a compelling history of the Black Panther Party--what it was, where it came from, and what rose from its ashes. In his youth Mumia Abu-Jamal helped found the Philadelphia branch of the Black Panther Party, wrote for the national newspaper, and began his life-long work of exposing the violence of the state as it manifests in entrenched poverty, endemic racism, and unending police brutality and celebrating a people's unending quest for freedom. In "We Want Freedom," Mumia combines personal experience with extensive research to provide a compelling history of the Black Panther Party-what it was, where it came from, and what rose from its ashes. Mumia also pays special attention to the U.S. government's disruption of the organization through COINTELPRO and similar operations. While Abu-Jamal is a prolific writer and probably the world's most famous political prisoner, this book is unlike any of Mumia's previous works. In "We Want Freedom," Abu-Jamal applies his sharp critical faculties to an examination of one of the U.S.'s most revolutionary and most misrepresented groups. 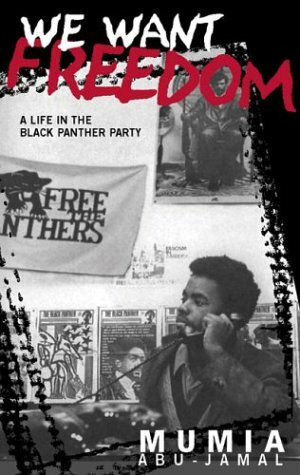 A subject previously explored by various historians and forever ripe for "insider" accounts, the Black Panther Party has not yet been addressed by a writer with the well-earned international acclaim of Abu-Jamal, nor with his unique combination of a powerful, even poetic, voice and an unsparing critical gaze. Abu-Jamal is able to make his own Black Panther Party days come alive as well as help situate the organization within its historical context, a context that included both great revolutionary fervor and hope, and great repression. In this era, when the US PATRIOT Act dismantles some of the same rights and freedoms violated by the FBI in their attack on the Black Panther Party, the story of how the Party grew and maturedwhile combating such invasions is a welcome and essential lesson.